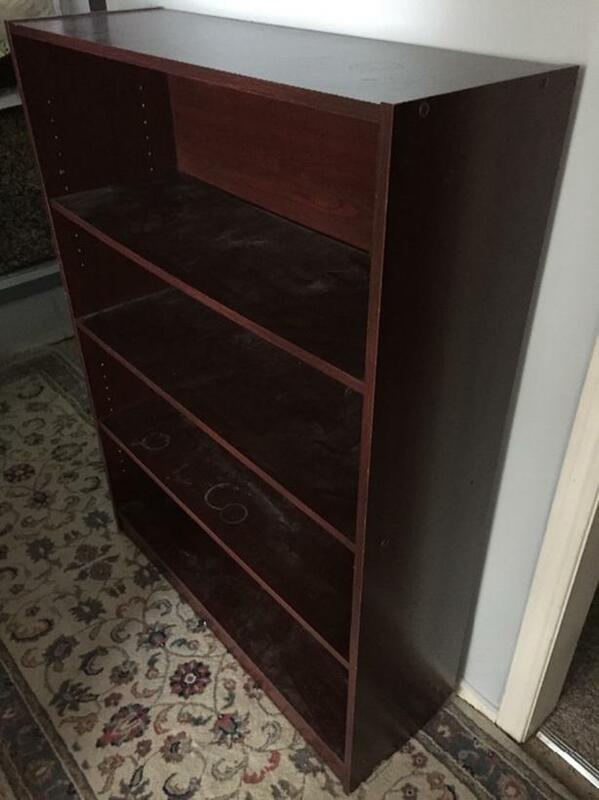 Press board bookcase; worn but not damaged. Call for address to pick up. Call after 3:30. First come first served.